SALT LAKE CITY November 22, 2016 –The Utah Supreme Court today affirmed the convictions and part of the sentence of Esar Met, who kidnapped, sexually abused, and brutally murdered 7-year-old Hser Ner Moo in 2008. Met was previously convicted of aggravated murder and sentenced to life without the possibility of parole. 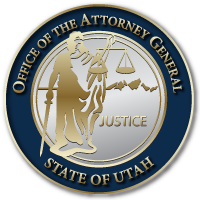 He raised more than a dozen claims on appeal, challenging the constitutionality of Utah’s non-capital aggravated murder sentencing statute on eight different grounds. Met also claimed that police coerced his statements during his police interview, that police illegally searched his apartment, that the prosecution unlawfully used two pictures of the victim at trial, that the prosecution destroyed important evidence, and that his conviction for child kidnapping should merge into his conviction for aggravated murder. The Utah Supreme Court rejected each of these claims. Met was sentenced to two concurrent terms of life without the possibility of parole, but the Utah Supreme Court held that the trial judge misapplied the law to Met’s aggravated murder conviction by presuming that life without parole was the appropriate starting sentence. The court sent the case down for the trial court to determine if this presumption affected its decision on the aggravated murder count, but affirmed the imposition of life without parole on the child kidnapping count. Assistant Solicitor General John Nielsen represented the State on appeal, briefing and arguing the case. Solicitor General Tyler Green, Criminal Appeals Division Director Thomas Brunker, Search and Seizure Section Director Jeff Gray, and Assistant Solicitor General William Haines helped develop and refine the State’s arguments. A copy of the ruling can be found here. This entry was posted in Archived Posts, Recent Posts and tagged Esar Met, Utah Supreme Court on June 27, 2018 .